We don't get to see one of our besties now that she is in Arizona and we are in Vegas. She came up to visit this weekend and we finally got to exchange Christmas presents. 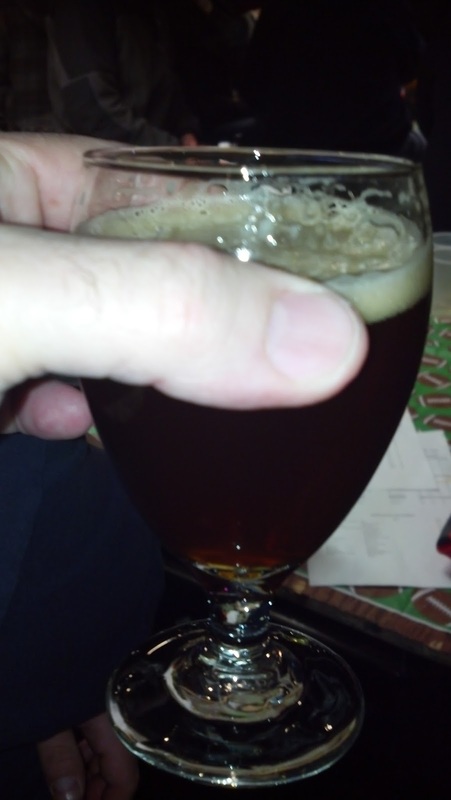 She was happy that I'd taken up homebrewing so she could find something more creative to get me. As a result, she took her first excursion into a homebrew store in Phoenix (there are 5 of them down there). It was pretty daunting with all the food buckets, carboys, hardware, grains, etc. So the proprietor asked her a few questions of which she could only answer that he's been homebrewing for a year or so and had no idea how. All she did remember was that I do like dark malty brews. The owner took her over to the kit rack and showed her what sounded like a very sizeable collection of kits. Thankfully, he picked out the Crosby & Baker True Brew Oaked Imperial Stout. I'd been thinking about brewing a stout and the weather is just trending right in the garage for fermentation. The kit is very complete with two kinds of LME - hopped and unhopped dark, 2 kinds of DME - light and dark, crystal, chocolate and roasted malt grains, Nugget hops, Fermentis US-05 American Dry Ale yeast, oak powder, priming sugar and even a grain bag. 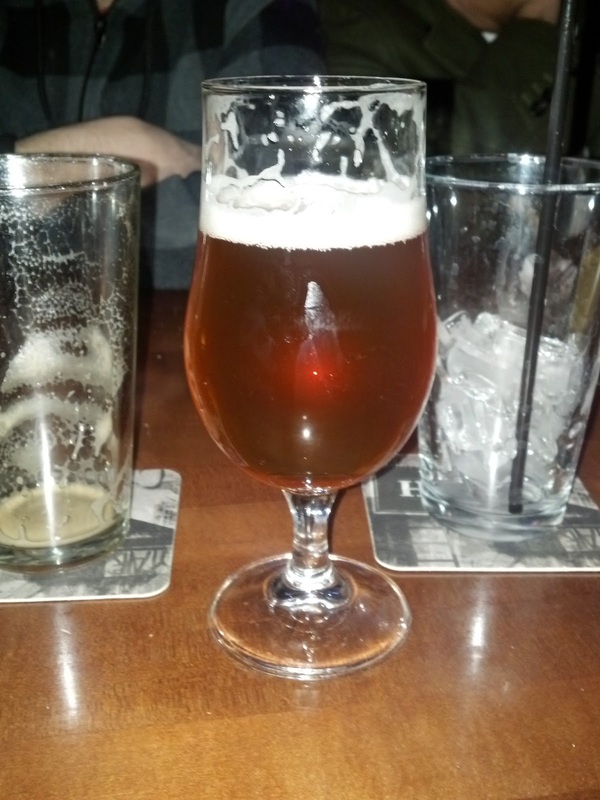 We spent dinner at the Yardhouse and there's always a great selection. This time there was Young's Double Chocolate Stout on hand. All I can say is OMG. The head on this brew is so amazing, I've never tasted anything like it. It is as thick as a chocolate milk shake. The brew has a very distinct chocolate flavor and the aroma really kicks in once you have warmed it up and drained about half the glass. The head remains long after the brew is gone. I was in the midst of reading Randy Mosher's "Tasting Beer" and was on the Belgian section. I remembered reading about Chimay and was surprised to see an abbey-brewed ale on the menu. Obviously I should have had these in reverse order. The Chimay was overpowered by the residual stout and the jambalaya I had. It was a nice brew, but I really could not taste its nuances even with cleansing my palate with water. It certainly was not very hoppy, but did seem a bit citrusy. The next night we went to Cheesecake Factory. A fairly uninspired beer menu, especially in this case with their proximity to local breweries. 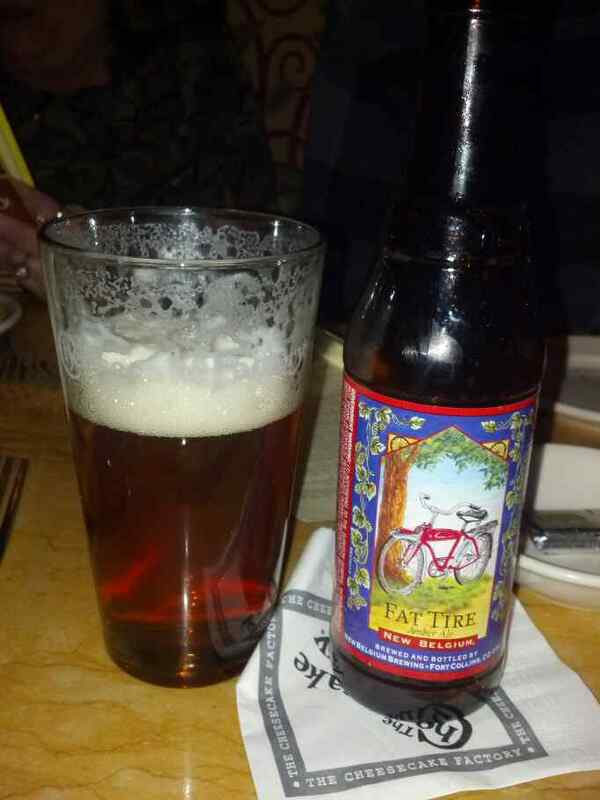 One of the few redeeming entries was the New Belgium Fat Tire red ale. You can see the incredible color and lacing. It stood up well to whatever it was I ate, oh yeah - chicken pasta with marinara sauce. Very much a sessionable brew, even at over 5%, quite malty with subdued hop flavors...just enough bittering hops for balance. All in all - a pretty great weekend for beer.